Home » Bollywood News » Will Salman Khan's Jugalbandi star Anil Kapoor, Fawad Khan & Jacqueline Fernandez? Will Salman Khan's Jugalbandi star Anil Kapoor, Fawad Khan & Jacqueline Fernandez? Salman Khan's upcoming production venture, Jugalbandi has been making news for a while now. It had been previously reported that the makers had approached Saif Ali Khan to play the lead role of a musician. However, it appears as though the actor has walked out of the film citing scripting issues. 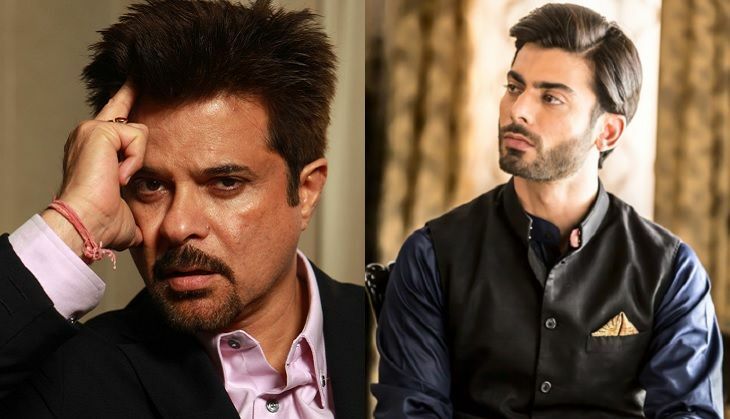 According to media reports, Pakistani actor Fawad Khan, who won over the audiences with his performance in Kapoor and Sons, has replaced Saif Ali Khan in the film that is expected to go on floors by July this year. The film will see Fawad Khan essay the character of a London-based music agent. Anil Kapoor plays a senior music teacher in the film. The two become friends but later have a fall-out. If reports are to be believed, Salman Khan's Kick co-star, Jacqueline Fernandez was approached to play the female lead in the film. However, there is no official confirmation about this. Jugalbandi will be directed by Luv Shuv Tey Chicken Khurrana fame, Sameer Sharma and produced under the banner Salman Khan Films.